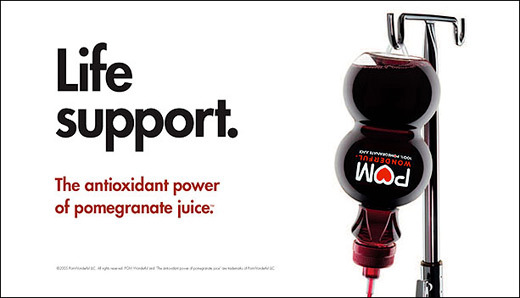 Ending a long-running trial, a federal judge ruled that POM Wonderful’s advertising that likens pomegranate juice to an anti-cancer drug is misleading. POM’s ads grossly over-exaggerated the effect of their product to reduce the risk of cancer, heart disease, and erectile dysfunction, without substantial scientific evidence. Some ads went as far as portraying POM as a superhero or life support (see above). POM managed to put a positive spin on the ruling by reciting the FDA and FTC’s standard rules, which they should have been following in the first place, and noting that their ads are not subject to pre-approval by the FDA. In practice, this means that POM can put out new misleading ads until the FDA and FTC take them back to court. [New York Times] Update: Marion Nestle shares her thoughts on POM’s advertising. Catching up on news this week after a relaxing Spring Break! 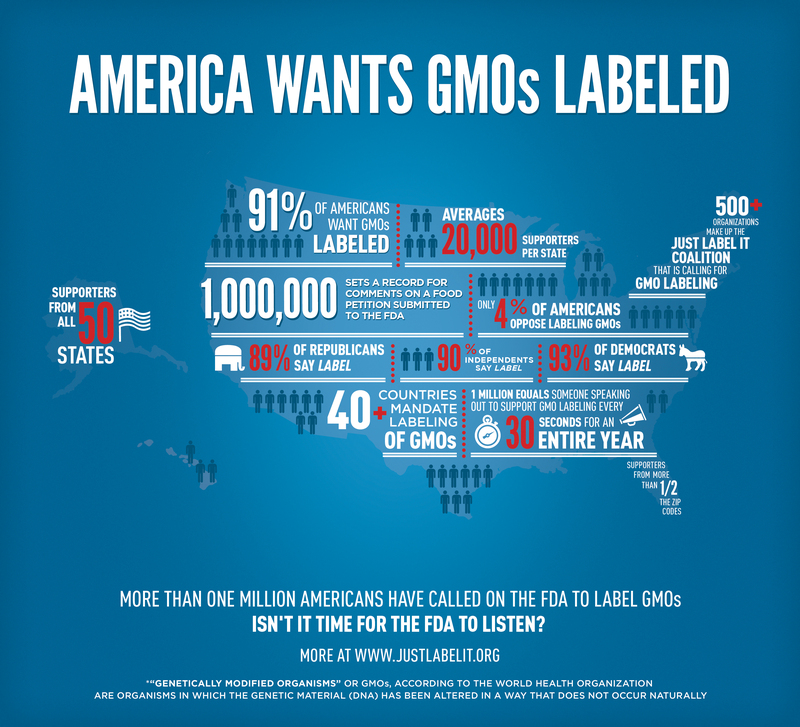 *image via Just Label It! 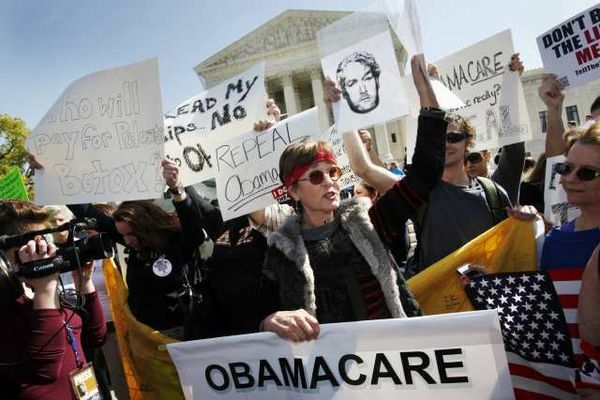 Over the next three days, the Supreme Court will be hearing arguments for and against the constitutionality of the Patient Protection and Affordable Care Act (commonly referred to as ACA, also called “Obamacare”). The most controversial part of ACA is the individual mandate, which would require all Americans to have health insurance starting in 2014 (with some exemptions for financial or religious reasons). Many believe the mandate is unconstitutional, but ACA could theoretically remain intact without it (although many health policy experts believe the mandate is the key to the functionality of many other pieces of the legislation). The Supreme Court will also hear arguments regarding the hundreds of other provisions included in ACA, including expansions of state Medicaid programs and tax credits for small employers. Confused? Check out the following links to track the case. 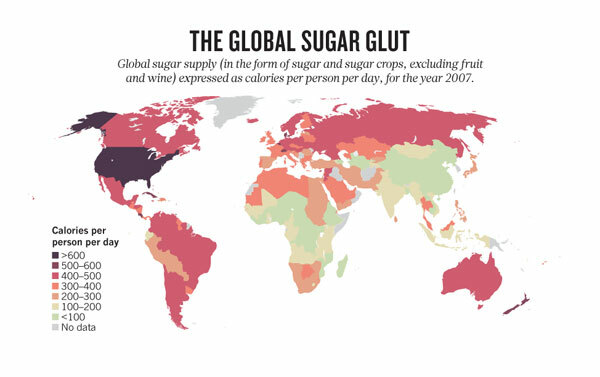 Kaiser Health News has a pretty good overview of the basics here. New research* from Harvard links red meat consumption to higher risk of death and cardiovascular disease. The prospective research study, in which participants were followed over a 25 year period, assessed intake of processed and unprocessed red meat and its effects on health. Fear not, meat eaters – the participants at increased risk of death were those eating at least one serving of red meat every single day. Not surprisingly, these same participants were more likely to have unhealthy diets overall. Update: The Susan G. Komen Foundation has reversed its decision and will continue to allow Planned Parenthood to receive grant funding! Of the reversal, they stated, “amending our criteria will ensure that politics has no place in our grant process…We do not want our mission marred or affected by politics – anyone’s politics.” Read the Komen statement here.